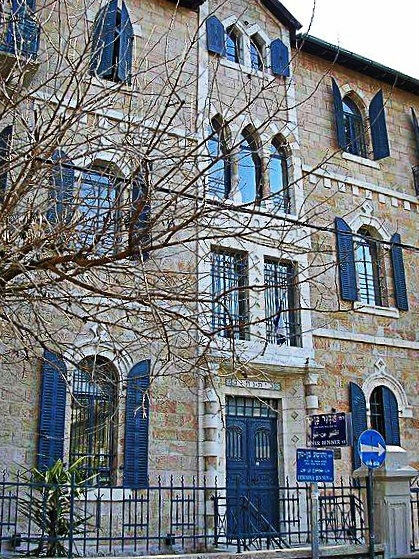 The Arcadia Ba’Moshava is located in the Greek Colony, one of the finest cultural and historical areas of Jerusalem. The glorious presence of Jerusalem’s heritage can be felt as soon as you step into the hotel. The Arcadia Ba’Moshava is located in a remarkable historical building whose vintage design – both romantic and meticulous - captures your attention immediately. But this is only the entrance into the prestigious boutique experience that will accompany your entire Jerusalem vacation! At the Arcadia Ba’Moshava each customer benefits from VIP service! Our dedicated multilingual staff is at your service, ready to take care of your every wish. Upon your arrival, you will receive a refreshing bottle of mineral water and a box of chocolates to sweeten your trip. Come and unwind in our advanced therapy room and choose from a variety of relaxing spa treatments. In the afternoon you are welcome to sit down and have a delicious meal. You will also get a Hebrew-English-Jerusalemite dictionary so that you can communicate with the locals in their own tongue! Unless otherwise is stated on the reservation, cancellation notice must be received up to two days prior to arrival date by 12:00 PM. Otherwise a charge of first night stay will apply. In case of a Non-show, a charge of the first two nights stay will apply. During Peak Season a different policy will apply: Cancellation notice must be received up to seven days prior to arrival date by 12:00 PM. Otherwise a charge of first two nights stay will apply. In case of a Non-show, a charge of the first three nights stay will apply. Superior Rooms with balconyThese luxurious Superior rooms are the perfect accommodation in Jerusalem for singles or couples. 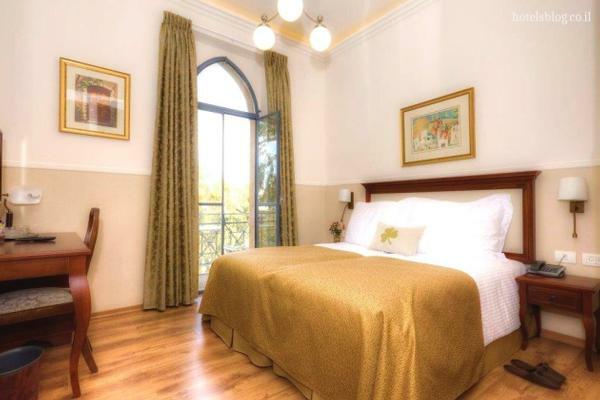 Each room offers a spectacular panorama of Jerusalem and a wonderful boutique atmosphere. Guests will also enjoy a beautiful balcony where they can relax and bask in the typical atmosphere of the city. 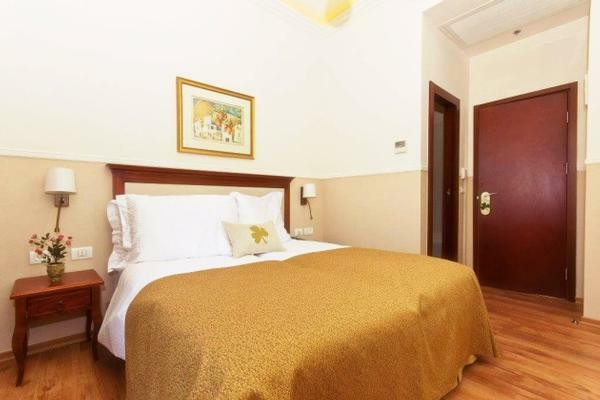 Superior RoomThe hotel’s Superior rooms are suitable for singles or couples. The rooms offer a spectacular view over Jerusalem and a uniquely boutique atmosphere in a hotel in Jerusalem.